Fast degradation polymer networks based on water-soluble chitosan derivatives have been produced using new biodegradable polycaprolactone cross-linkers. These networks combine hydrophilic chitosan domains with polycaprolactone chains that provide the obtained gel with adherent sites for protein adsorption and cell adhesion. It has been shown that polycaprolactone blocks are able to crystallize what probes phase separation between hydrophilic and hydrophobic domains. 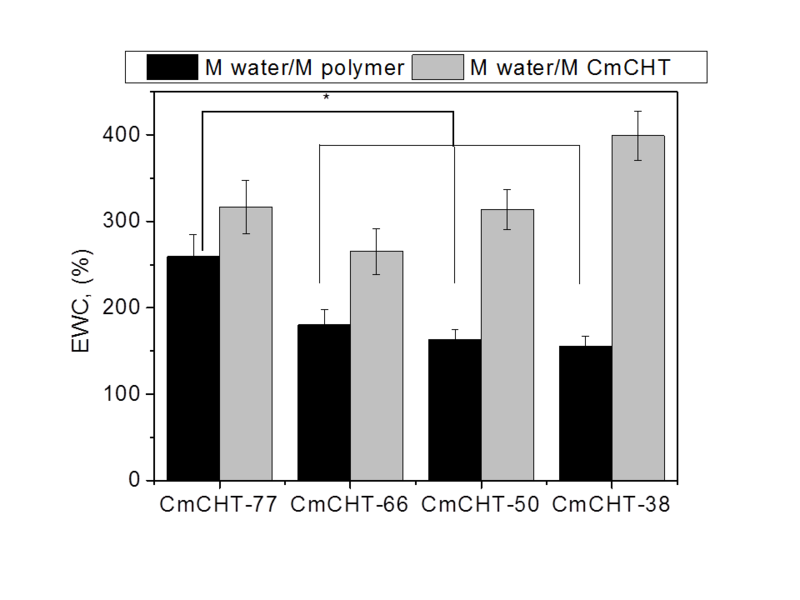 In spite of the hydrophobic component, even at high polycaprolactone contents the material behaves as a hydrogel with high equilibrium water content (up to 400%, see the figure). Gels degrade in few days in hydrolytic or enzymatic media. 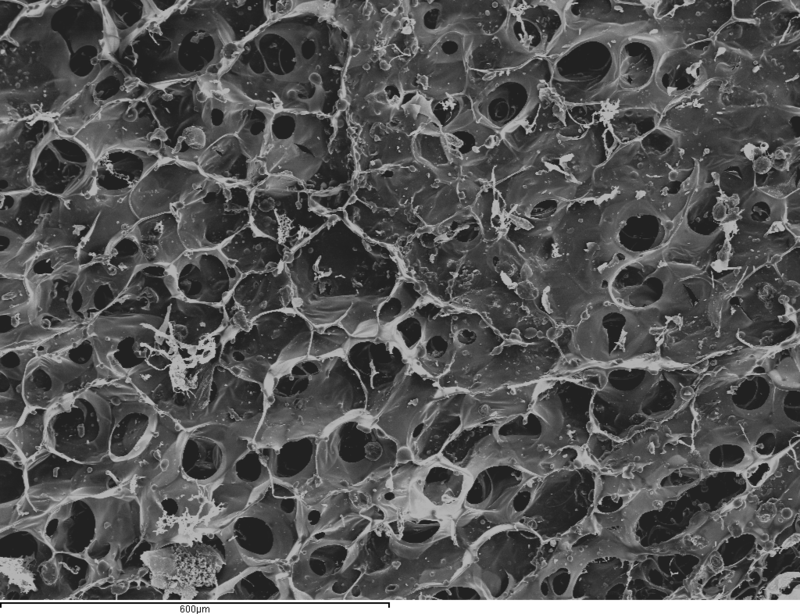 Mesenchymal stem cells are viable when seeded in macroporous membranes made of these materials. 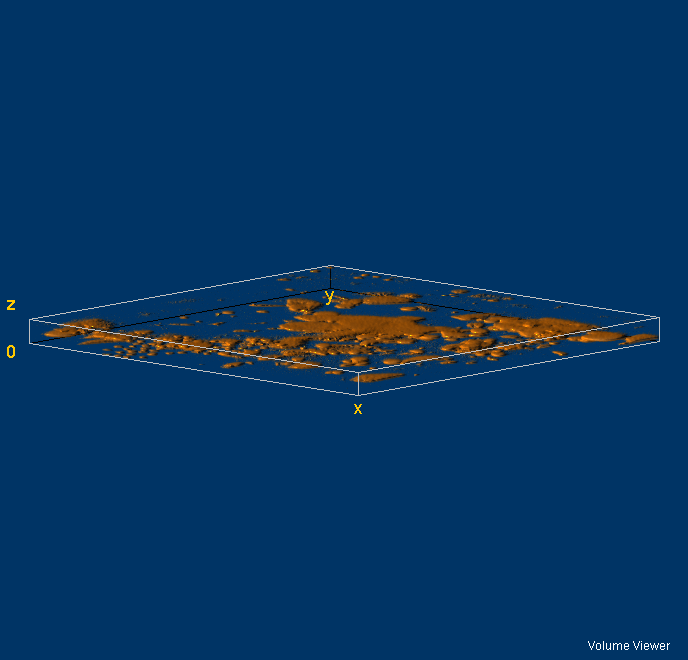 The figure shows cell nuclei stained with Dapi. The membranes disappear in cell culture after around one week showing continuous increase of cell numbers along this period. 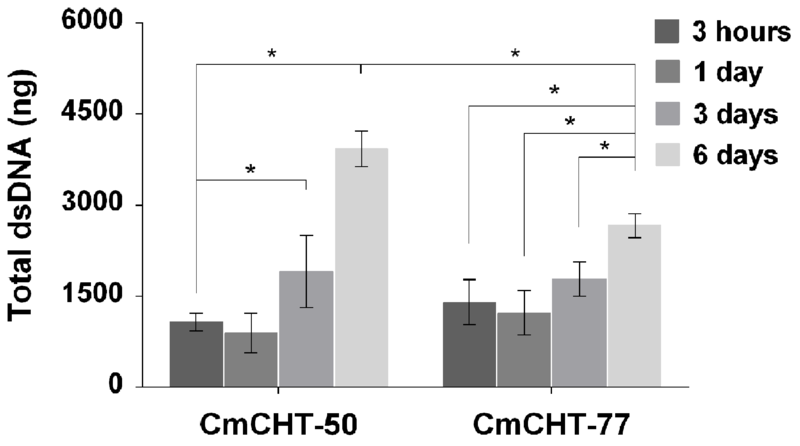 The figure shows DNA total during cell culture of MSCs seeded in the membranes. In this way the new materials are promising environments for cell transplant in regenerative therapies allowing cell delivering with very short-term resorption of the transplant vehicle.